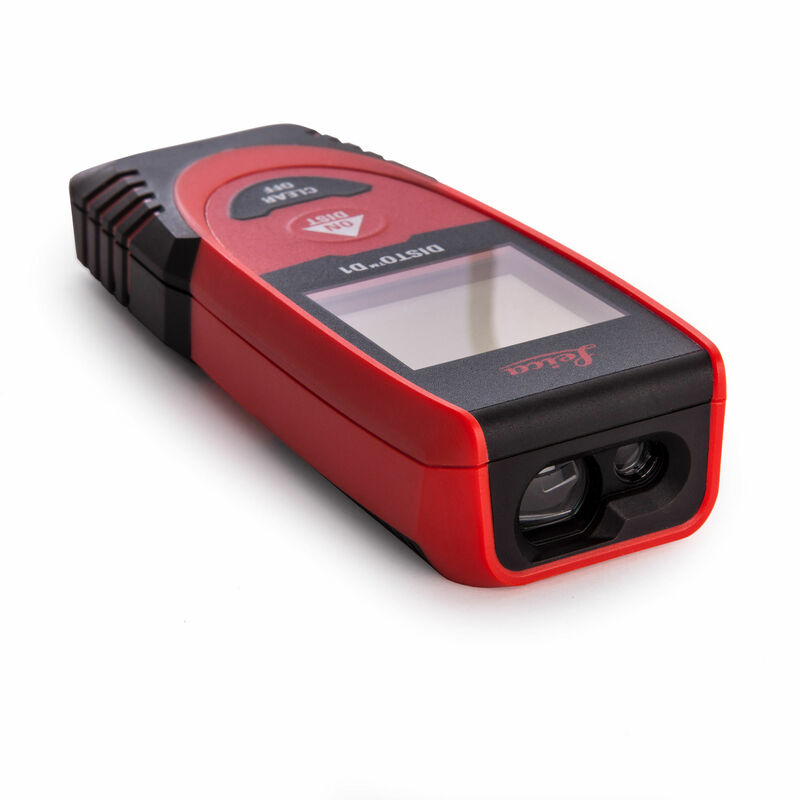 Accuracy with unfavorable conditions: 3 mm / 1/8"
The Leica DISTO D1 offers professionals as well as DIY users an easy-to-use laser measuring device. 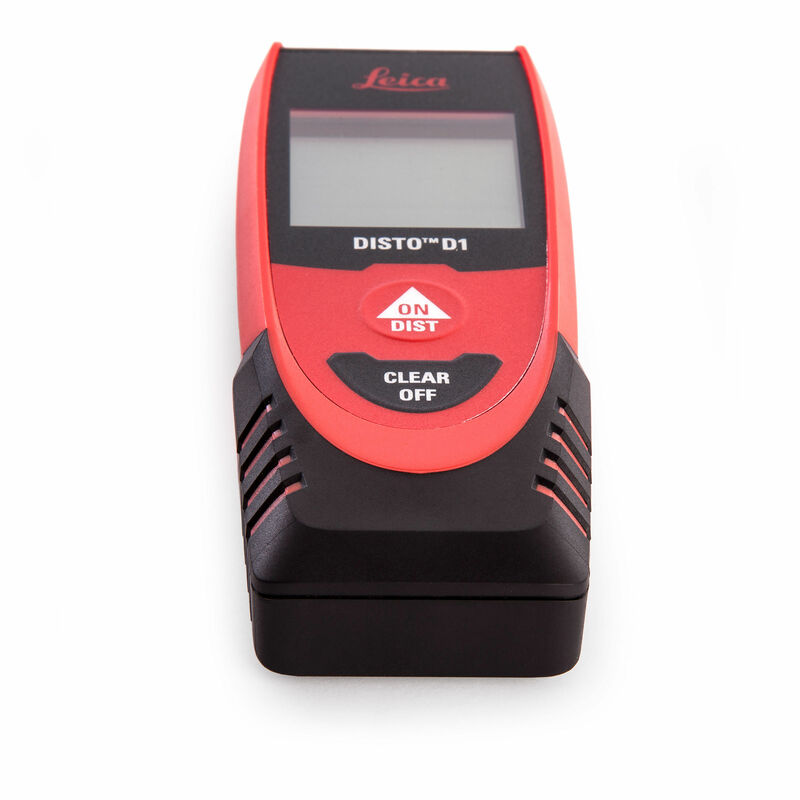 Turn the DISTO on, press the ON/DIST button and you've got a measurement. It's easy as that. It may be small and simple to use, but that doesn't mean we sacrificed on accuracy. 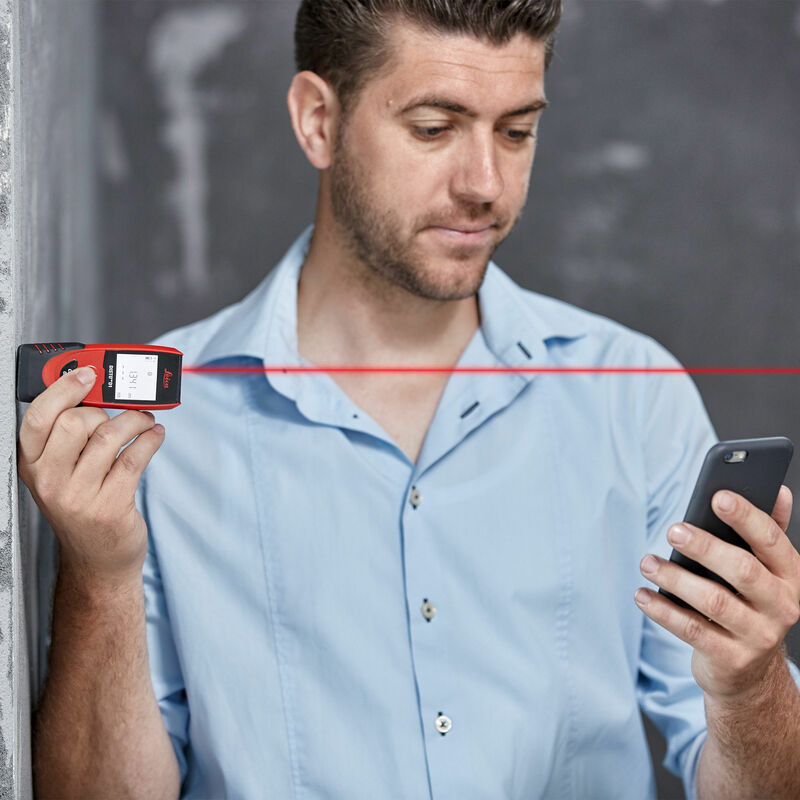 The D1 has just what you'd expect from a Leica DISTO, unwavering accuracy to 2mm. Linear distance and continuous measurement. Both have a range of up to 40 meters. No more sagging tape measure, working around furniture or carrying a ladder just to get basic measurements. 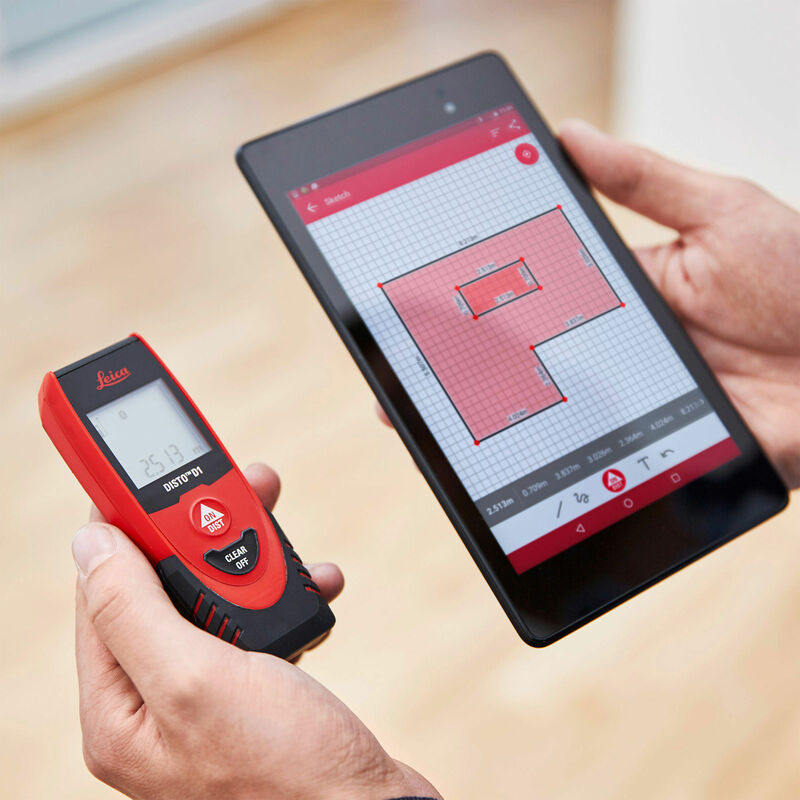 Pair the D1 with any smartphone or tablet to create digital floor plans on the fly with the DISTO Sketch app. DISTO Sketch integrates measurements into project images or job-site sketches to speed up workflows. Error-free documentation of projects sent instantly back to the office or to the site. We brought the D1 down to just the basics because not everyone needs the functions like height tracking, area, volume or point to point that you find in our other DISTO models. The D1 is perfect for quick and accurate interior measurements. It is small, very light and has a non-slip comfort grip that makes it easy to hold. This is a real benefit when you're trying to measure at awkward angles or are swapping between other tools in your bag. 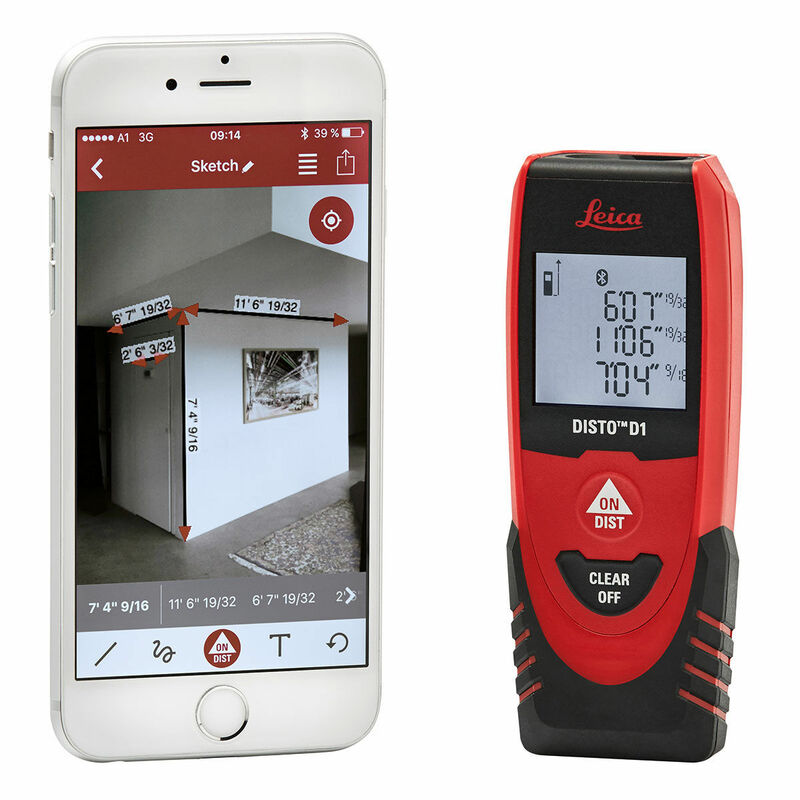 Whether you are measuring for interior carpentry, flooring, hanging pictures on a wall or just checking to see if the furniture you're looking at online will fit in your house, the D1 has you covered.